As a college student in St. Louis, MO, many years ago, Vegetarian TravelingMom Judy Antell took advantage of free fun around the city. The Anheuser-Busch Brewery topped the list. 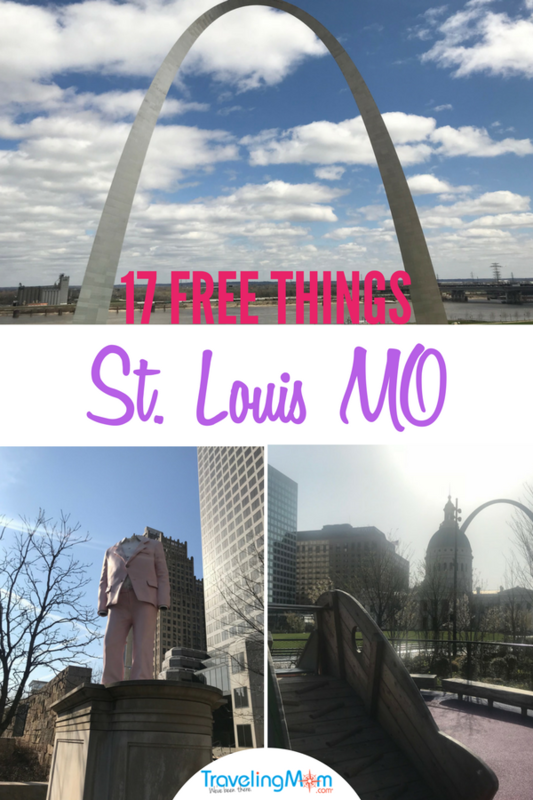 On a recent trip, she discovered even more free things to do in St. Louis. One of the most exciting is the new museum under the Gateway Arch, opening July 3. Returning to a place where you used to live can be jarring. I spent five years in St. Louis, Missouri, in college and graduate school, but hadn’t been back since my 10th college reunion. Let’s just say it was awhile ago. 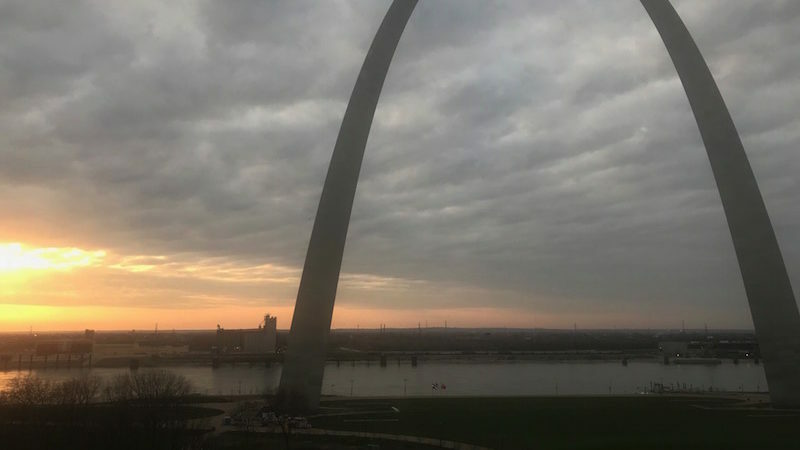 In my absence, St. Louis blossomed with breweries, a new Busch stadium for the baseball Cardinals, more green spaces and museums, and more free things than you could cover in a weekend. 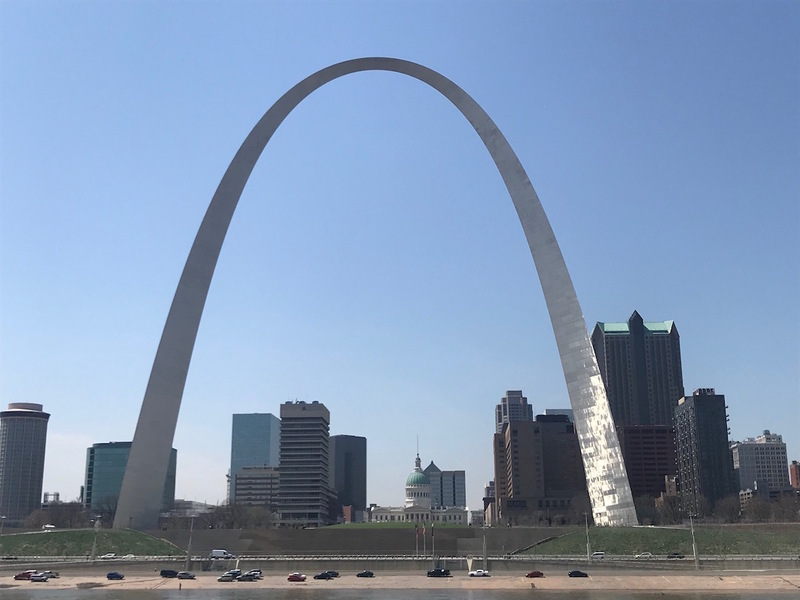 So plan a long trip to the Gateway to the West and see all the free things to do in St. Louis. The Museum at the Gateway Arch, formerly known as the Museum of Westward Expansion, opens July 3, but I got a hard hat tour. The interactive museum, the first update to the museum since the arch opened in 1965, was long overdue. You can learn about colonial St. Louis through the competition to build the Arch. There are plenty of interactive elements and things to touch to keep kids interested. The St Louis Zoo, in Forest Park, is one of the best zoos around, and admission is always free. I used to run track in college, and my long runs would involve a visit to the polar bears. There are now some paid attractions at the zoo, but early risers take note. During the first hour of operating, the Children’s Zoo and carousel are free. You can always see the grizzly bears, penguins, apes and big cats. Another Forest Park attraction, the St. Louis Art Museum has free family Sunday programs and free daily tours. Among the over 34,000 works of art are collections of armor, sculpture, decorative arts, and ancient through modern art. The museum is truly a gem. Admission to the museum is always free, but special exhibits, like the new Sunken Cities: Egypt’s Lost Worlds, charge a fee. But even special exhibits are free on Fridays. 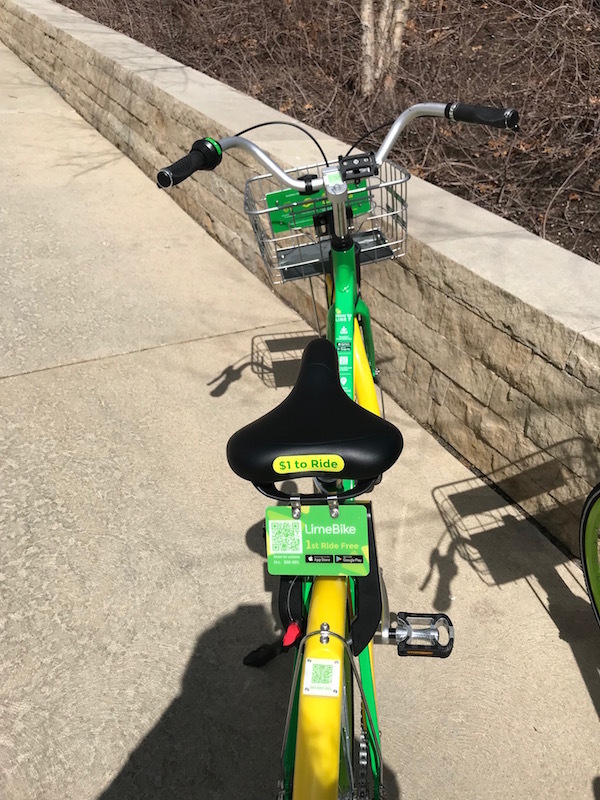 The April day I got to St. Louis, the Lime Bikes dockless bike share program started. Lime Bikes cost $1 for a 30 minute ride, but when you sign up, the first ride is free. 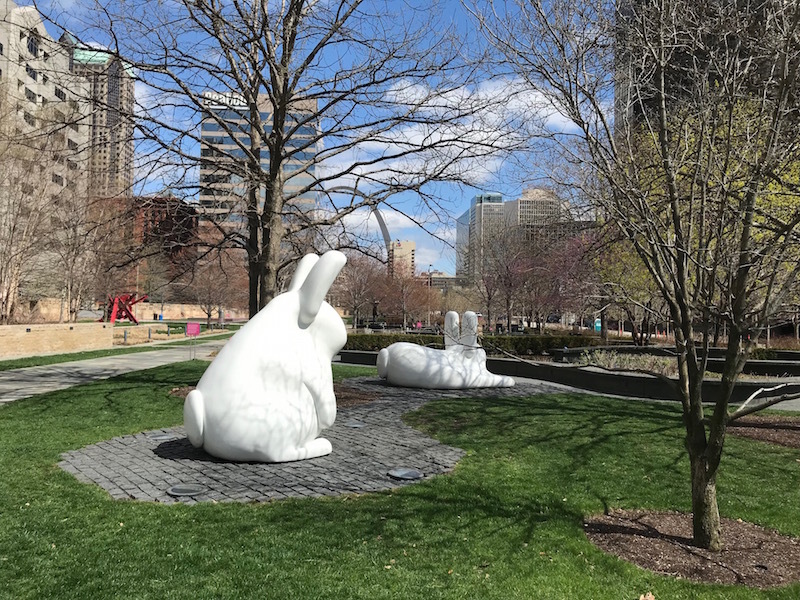 The downtown St. Louis green space didn’t have much going on until its makeover last year. 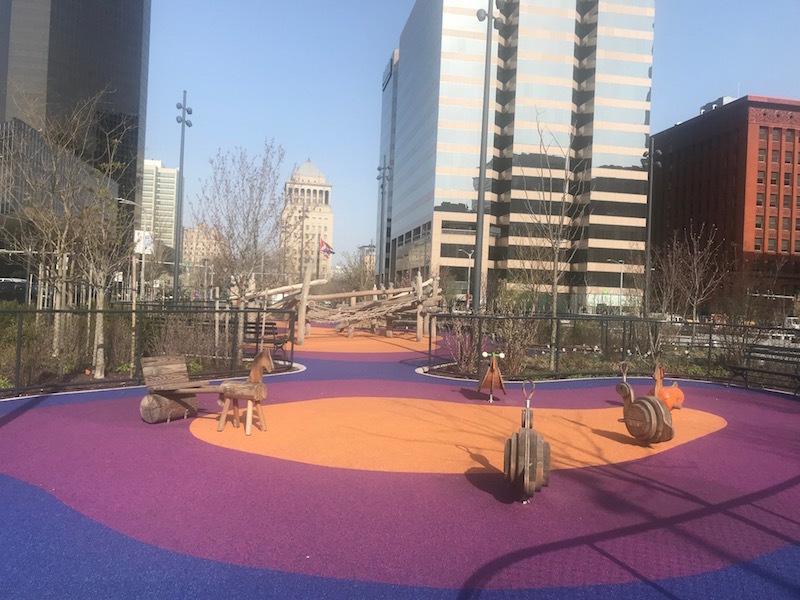 Now it boasts a colorful playground, two water features, and free weekly Sunrise Yoga classes. There are also evening boot camps and family friendly days with storytelling and lawn games. 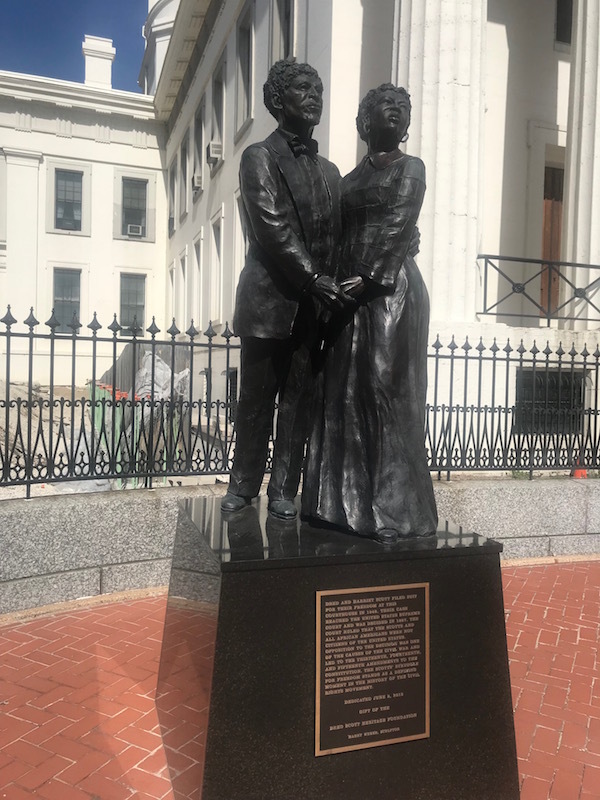 The Old Courthouse, where Dred Scott sued for his freedom, is open daily. Take a free Ranger-led tour, or explore on your own. The 19th century building is beautifully restored. Don’t miss exhibits on Lewis & Clark, native Americans and colonial St. Louis Missouri. 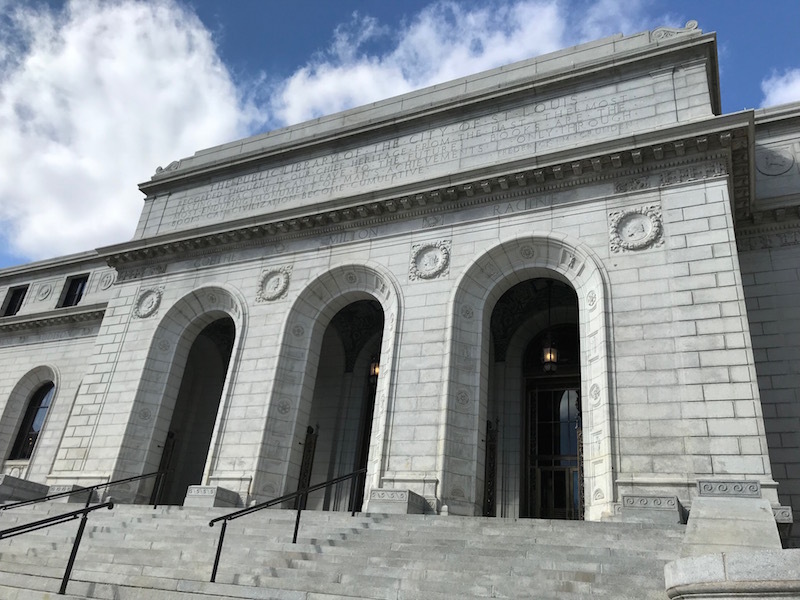 The stunning Beaux Arts Central Library offers free tours of the meticulously restored 1912 building. You can also explore the building on your own. Union Station, a National Historic Landmark, has a free light show every day. The grand lobby of the St. Louis Union Station Hotel has a soaring 65 foot high ceiling. The light spectacle is about 1o minutes long, and recurs every hour, on the hour, from 5 p.m. to 10 p.m. daily. The Missouri History Museum has a continuing exhibit on the 1904 World’s Fair, with photographs and artifacts. Another exhibit features panoramic photos of St. Louis from the early 20th century. Admission to the general science center exhibits is free. You can build a bridge, the Gateway Arch or a skyscraper; learn about ecology and the environment; or take a trip to Mars. There are hundreds of interactive exhibits and daily demonstrations of different scientific principles. Tickets to the planetarium and Omnimax carry a fee, but on the first Friday of each month, there are free tickets for the Omnimax. Tour the original Anheuser-Busch Brewery, built in 1852. The free tour is family friendly. You see the Clydesdale horses, and kids get free soft drinks. Adults get to sample beer for free. The daily tours last about an hour. There is a free trolley from Busch Stadium daily. Anheuser-Busch Brewery is in Soulard, which has a year round farmers market. The Soulard Farmers Market started in 1779. There is plenty to buy, of course, but you can just walk around the market, see flowers and local produce and score a few samples. Washington University’s Kemper art museum has a large collection of contemporary and modern art. The museum is about to close for a major expansion. During the expansion, some of the works will be on display at the St. Louis Art Museum. Citygarden, an urban green space, has sculptures, lush plantings and water fountains that kids can play in. There are also free concerts midday on Wednesdays, June- August, and free yoga on Saturdays. There is a coffee shop, Kaldi’s, with excellent drinks and sandwiches. Food trucks arrive in summer. Summer theater doesn’t get any better than this. The outdoor shows, at a band shell in Forest Park, have week-long runs. The musicals include venerable hits like Meet Me in St. Louis and Gypsy and more current fare like Jersey Boys. Every performance has free tickets, available first come first served. 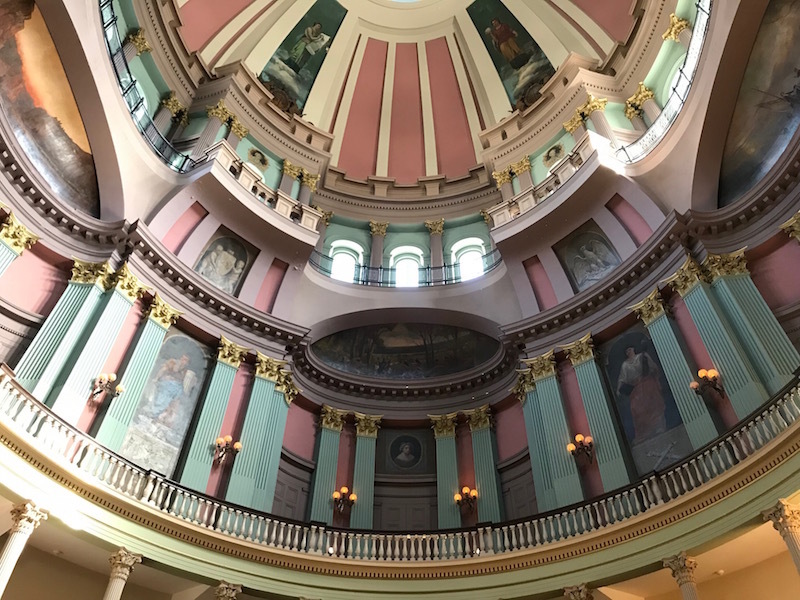 Reopening in November, the Soldiers Memorial Military Museum explores stories of St. Louis soldiers from the American Revolution to current wars. There are artifacts and memorabilia. The renovated Art Deco building will be LEED certified. My name was not there. Yet. My memories need refreshing too—-University years for me were also Missouri, in the center of the state in Columbia. Your eye for free (and remarkable) is quite refined! Thanks for the specific tips. You will have to ‘show me’ Columbia!